When we design our reading nook, budget is our utmost concern. We do not want to spend much on costly furnitures and we do want to save on space, too. 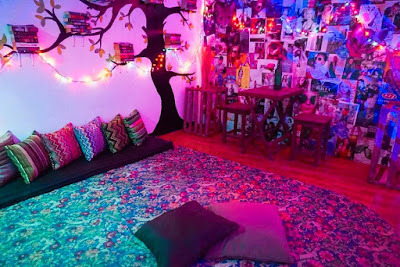 Another thing that we have considered was the fact that our reading nook is actually on the loft room, so we wanted to get away with heavy book shelves, chairs and tables. 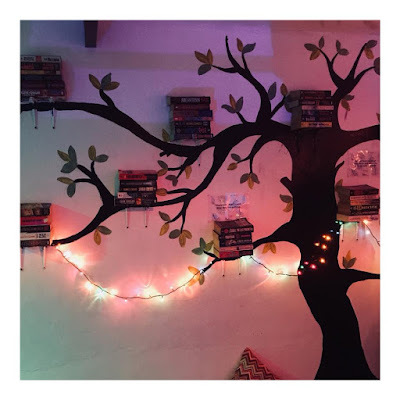 Instead of putting up book shelves, we've decided to have a DIY tree wall mural where we put some floating shelves on the branches to hold our pocket book collection. 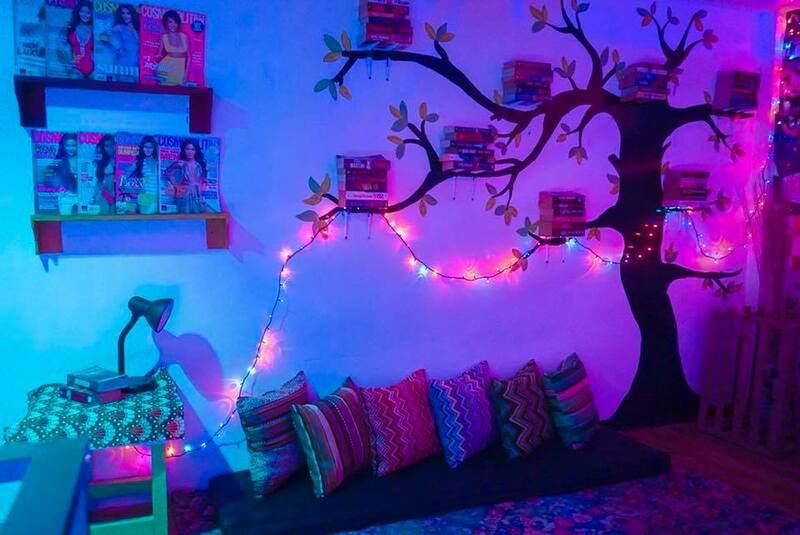 Cute wooden shelves were also installed on the walls to hold those glossy magazines. For the seating area, we just opted to make use of throw pillows all over the area. Though we incorporated some warm lightings to have that "cozy feel" on the area, we also did not forget to place a table lamp for an added lighting. Overall, we were satisfied with the outcome. 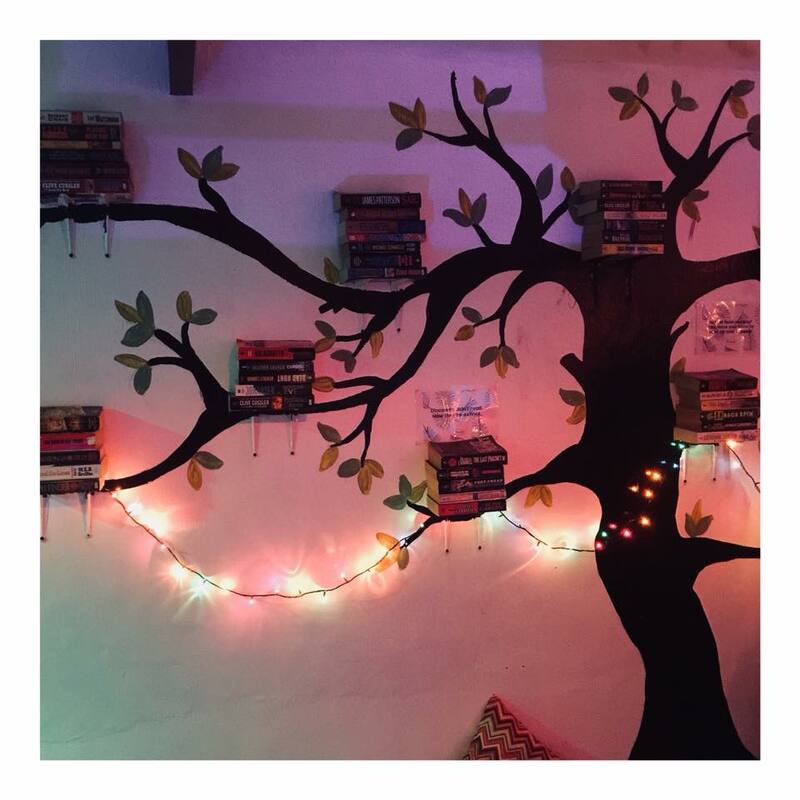 The reading nook turned out to be simple yet cute and cozy. Again, we had proven to ourselves that budget is not really a problem if you wanted to put up something fun and creative like this reading nook.